AngelicView: In my surfing of the World Wide Web tonight, I have come across this amazing Lecture given by James Churchward in 1931 in Mount Vernon, New York. What he has here… is truth. It is pretty long so I’m going to split it up into two parts. It is definitely worth the read if you’re interested in Spirituality. As the Phoenix is pictured rising above the flames of fire; so these cosmic truths will rise above the scoffing ignorants of today. On one occasion he told me that there were some written records about Jesus in certain Himalayan monasteries; and gave me such letters of introduction to the heads of these monasteries, that on application I experienced no difficulty in obtaining a sight of these precious documents. In one monastery I found without question the original documents. These documents are written in Pali on Olas and bound into Patikas. Pali is a dead language corresponding with our Latin. Olas is the —– leaf of the Palmyra Palm prepared for writing. Patika is a series of these leaves, with holes, sometimes two, sometimes three, punched through them. They are then strung upon strings with the ends of the strings fastened to a pair of boards, which form the cover or binding. In other monasteries I also found records; all of them, however, were evidently copies of those I have mentioned. In the great Hemis monastery at Ley-Cashmir there are copies written in a jumble of Pali and Tibetan. I mention this institution, because anyone using the right sort of persuasion can see all and everything there is in this monastery. I did not see an original document in the place: there may be some there, they declared, however I had been shown everything they had. 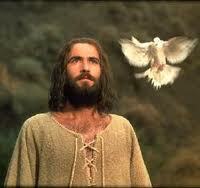 In the Biblical records of Jesus there is a gap of many years. In monasteries and Lamasaries in the Himalayas and Tibet there are records (without question copies) telling how Jesus spent these mysterious years. There are also many oriental legends about him. His name in this monastery is more revered today than by any sect of Christian Priesthood, and simply because these Himalayan monks know him better. The Masters insisted that “other bodies” meant the subsequent bodies of the man. So the question hinged on the meaning of “other bodies.” Did it mean the subsequent bodies of the reincarnated man or other bodies of Nature’s making? These translations are from the Sacred Inspired Writings of Mu-The Books of the Golden Age-and in the Section on Reincarnation which were brought from Mu by the Naacals. They are very difficult to translate, as it is impossible to give in modern language every minute meaning and detail. I do not profess to have done so. I have done all that can be done; that is to give a correct general meaning. This I feel confident I have done but the little fine details are beyond my comprehension. Anyone who says he can do more with these very ancient writings has very little respect for the truth. Both Jesus and Osiris were, unquestionably, inspired instruments of the Great Nameless, sent on earth to show the children of this world the paths which lead to happiness. If man is in the image of God as the Bible states, man naturally would be a picture of God: but, as the Sacred Inspired Writings from which the Biblical legend was taken say that God cannot be pictured, it clearly shows that Ezra, when writing the Bible from Moses’ records, used the wrong word in his translations. It is clear however that man was a special Creation receiving special powers from the Creator, to enable him-man-to rule the earth. It is these powers which we will consider this evening. From various legends handed down to us, and experiences of our own during our own time, it has been definitely shown that when man has learned how to use and control the Cosmic Forces which have been given to him, he is not only capable of controlling and governing elementary matter, but the forces coming from the earth also. The special powers of man are shown in the use of his Cosmic Forces, which Forces emanate from his inner Self. All Forces are carried in waves. 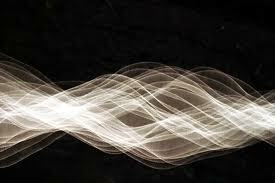 These waves in turn are formed by vibrations; therefore all Forces are vibratory. Man’s cosmic Forces are carried in waves formed in the essence in which our atmosphere floats-a substance so thin and elusive that it cannot be analyzed by any of our known chemical methods. Our scientists call this essence ether. They also call that which fills space ether. They are however, totally different substances. The earth’s Central Magnet controls the essence in which our atmosphere floats, but it has no control over that which fills space. This great error had its origin in the deciphering of two symbols in the Sacred Inspired Writings, and the error has been carried down for over 3000 years. “Yes, man has the power to overcome with his body what you call the Force of Gravity: which however is the attraction of the Cold Division of the earth’s Central Magnet, which has power and control over elementary matter only. This attraction is a Magnetic Force, and man has the power to control all earthly forces, when he learns how to use and control his own greater force. Man can cause his own vibrations to rise above the vibrations of the earth’s Cold Magnetic Force, and thus, either nullify or repel them. One gloriously bright tropical moming, very early, I wandered down to the Temple to gain some pearl of wisdom from the rishi. We had been sitting in silence on our favorite bench in the Temple gardens for some time when suddenly he turned his face to me and said: “My son, it is strange how little your people understand their own Bible. 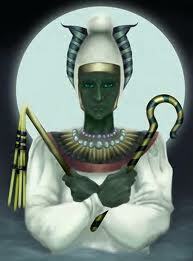 Take for instance the legend which relates how Moses’ serpent swallowed up the serpents of the Priests before Pharaoh. This is regarded as miracle, whereas both Moses and the Priests were only practicing one, of the ancient sciences. You will better understand it if I call it mass hypnotism. “Moses had the power of raising his inner vibrations higher than those of the Priests so could bring their brains under the control of his own. The Priests had their vibrations raised to a point where they had the audience under control, and then they cast their staffs on the ground concentrating on the vision of their transformation into serpents. Consequently, the people saw them as serpents. The rishi shook his head reprovingly; with profound salaams they returned to their work, declaring loudly that “never again would they ever take more than one drink of Arak at a time.” Thus, as an object for me, was enacted the scene of Moses, the Egyptian Priests, and the serpents. The rishi then told me that in ancient times, when India was divided into small kingdoms constantly at war with one another, mass hypnotism was used by the Priesthood to protect their temples and colleges. Another graphic illustration of the serpent “miracle” was staged for me on a certain morning when a tall, lanky European walked into the Temple Compound, and asked to see the High Priest, announcing himself as Professor X of — University, England. He said he was writing a book on the history of India, and wanted to get all possible information. 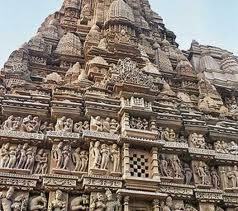 He had been told that the High Priest of this temple knew more about ancient India than any other man. He handed to the rishi a letter of introduction, which the rishi smilingly took but did not open. The rishi told him he would gladly tell him anything that was contained in the Temple Records. The rishi then ordered a table and chair to be brought for the professor’s convenience and comfort. The scene that followed is etched on my memory, The professor laid his hat, cane and umbrella on the table; a coolie deposited beside them a large pad of paper and many sharpened pencils. I kept close watch for the new and wonderful history of India. It appeared about a year later amid a wonderful flourish of scientific tIumpets (?). I do not think there is a page in the book that is accurate; most of it consists of the most palpable absurdities. In it, the professor, however, gave the rishi credit for being a wonderful physician, and suggested that the medical faculty had much to learn from the High Priests of India! The rishi was thoroughly familiar with our Bible: much of the earlier part he knew by heart, particularly those chapters dealing with the Cosmic Sciences. One evening he said: “I have been thinking, my son, about the great Biblical Miracle which relates that Shadrech, Meshech and Abed Nego walked through the fiery furnace and were not touched by the fire. As I have often told you, Man has the power to raise his vibrations–the forces of his soul–above the vibrations of the earthly forces. 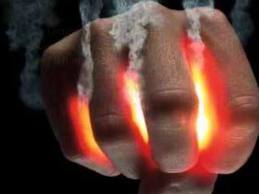 Heat, which produces fire, is an earthly force, therefore man is able to raise his own vibrations above those of heat so that the heat force is repelled or nullified, forming a neutral zone through which the heat cannot pass. The man’s clothing partakes of his vibrations, so that even his garments cannot be touched. Those who have attained the knowledge which enables them to control these inner vibrations are termed Masters. I asked how these Israelites had gained the necessary knowledge to become Masters. He answered: “The Israelites were captives in Babylonia, where there were many colleges for the teaching of the language of the Motherland, the First Inspired Religion and the Cosmic Sciences. These colleges were called Chaldi. It is from this name that the Semitic conquerors of Babylonia took their name Chaldeans and rechristened the country Chaldea. After finishing his discourse, the old rishi looked at me and smiled, and said, “Now, I suppose, I must as usual make all plain to you by giving you a physical example.” And with that he called to an attendant to bring him a large live coal. When the coal was brought in a chattie, he took my hand, deliberately picked up the red-hot coal with his fingers and placed it in the palm of my hand. He then asked me if I felt any heat from the coal. I did not. He then told me to light a cigar from it. I tried but the cigar would not light. He smiled and turned my hand over. The coal fell to the ground. He then withdrew his hand from mine and told me to pick the coal up. I innocently attempted to do so-and although I dropped it hastily, my fingers carried burns and blisters for many days. He then picked the coal up himself, put it back into the chattie, and said to me, “Now light your cigar from it.” I did so with no difficulty. The demonstration was complete. He was always very emphatic when speaking of faith, and always impressed me that the faith was not “to make oneself believe that he had the faith, but it must be conviction added to the faith-spiritual conviction.” At this point he would refer to the teachings of Jesus, quoting the moving of a mountain through faith. 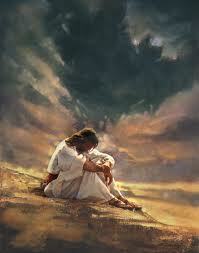 Many people are today healed by faith but do not know it. They attribute it to some sacred object, whereas the object is only the agent that brings the faith into life. The material body in itself is incapable of creating this faith. Absolute faith emanates only from the inner or spiritual self.